Liber – Restaurant / Cafe / Bar WP Theme from Themeisle (AD). Liber is a stunning and highly engaging premium responsive WordPress theme specially made for restaurant, cafe and bar business websites. Restaurant and bar websites, beside the standard features found in other themes, require niche specific features. We researched those, put them together in an easy to use package and the result is Liber, beautiful, fast and engaging WordPress theme. Liber follows the latest trends in WordPress theme responsive design. It doesn’t matter if your audience view your site on a desktop, laptop, tablet or a smartphone your content will always be laid out for optimal readability and navigation. This is a feature that every modern restaurant wants to have on their site. For this purpose it also support the awesome plugin called “Restaurant Reservations”. Restaurant is nothing without a menu. As the food menu feature is built into this theme you can easily display elegant menus and even recipes. It is not exclusively restaurant feature, but people love to see a few nice words from your satisfied guests. Adding testimonials is as easy as it gets using custom posts. You want open hours for your restaurant to be in a prominent place. In Liber, there is an option to display this information in the header, so no one can miss it. It comes with an SEO-ready structure, plus a clean and optimized source code. With Liber, you can get your new website installed and online in under 1 minute. Image as background? Media slider as background? Video as background? This theme lets you do all. Optimize source code, compatibility with popular caching and minification plugins. It gives you all. Not to mention the ultra fast loading times that you get right out the box. Liber comes with a powerful, responsive, and user-friendly mega menu, making it easy to arrange and organize your submenu content. 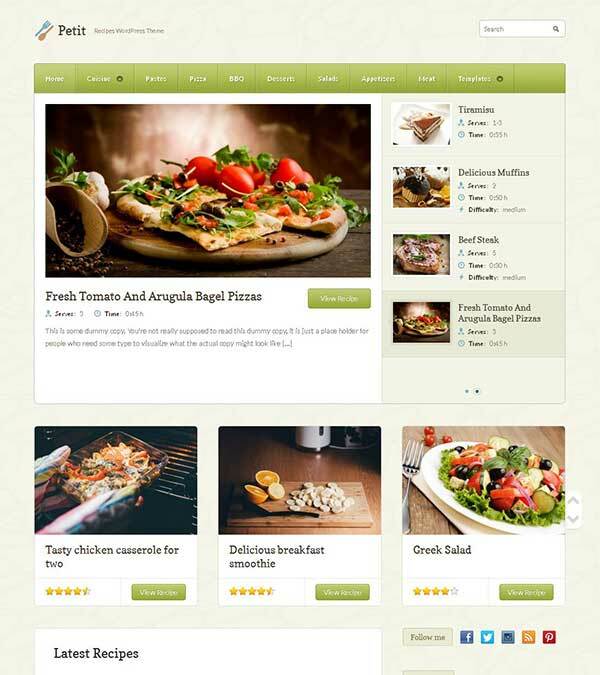 Our visitors also watched these templates along with Liber Restaurant Cafe Bar WP Theme.